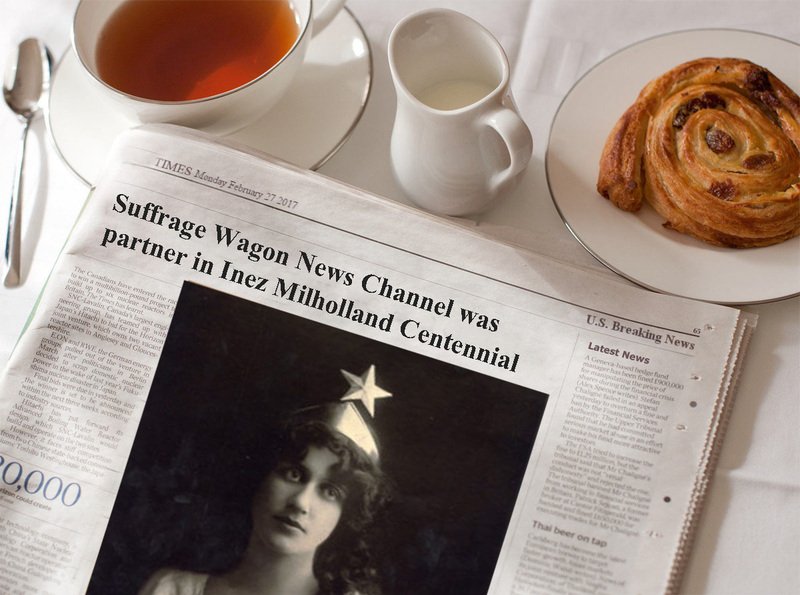 Visit Suffrage Wagon News Channel’s Inez Milholland sister site! One of our sister sites honors Inez Milholland, our national suffrage martyr, an information resource launched during 2016 when Marguerite Kearns worked with Bob Cooney and the National Women’s History Project to commemorate the 100 years since Inez Milholland’s death. Are you following what’s happening? Our goal is to make sure Inez gets the proper recognition she deserves in 2020, the 100th anniversary of women voting in the United States. By following InezMilholland.wordpress.com you’ll see the awareness and appreciate increasing over time. IN OTHER NEWS: Check out the “American Women’s History Initiative” at the National Museum of American History. The federally-funded institution plans to create new programs and hire curators across Smithsonian locations, with the specific intention of showcasing women. The federally-funded institution is creating new programs with the specific intention of showcasing women. “Iron Jawed Angels,” an HBO film, continues to be used for fundraisers and other special events on the grassroots level. “Forward into Light” about Inez Milholland also is a favorite, as well as the UK film, “Suffragette.” Watch for related productions as 2020 approaches. Tennessee and the final days of the ratification process in 1920 is also a contender. Follow Suffrage Wagon News Channel for news, views, and special events. We have been publishing since 2009. VIDEO—where the memoir by Marguerite Kearns tells about Bess, controversial women’s rights activist!